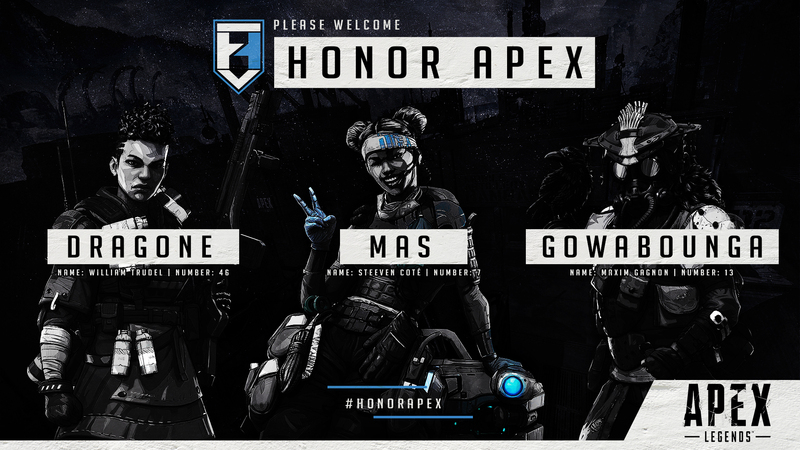 With Battle Royal games becoming more and more competitive, we at Honor Esports saw a great opportunity with Apex Legends as our first drop into this growing genre of esports. After some hard-fought tryouts, we found some great and experienced talent. With a previous tournament win at PWR gaming Champions Of Apex, this roster looks to become the face of Canadian Apex Legends.